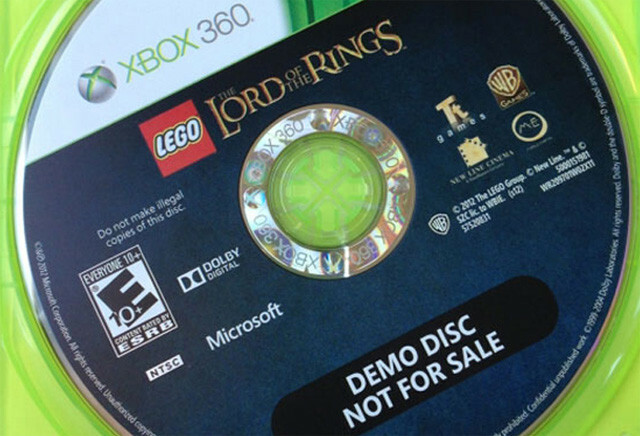 Warner Bros is recalling Xbox 360 copies of Lego Lord of the Rings game after they were incorrectly labelled as demo discs before being shipped to retailers. The blunder appears to have only affected US shoppers, with Walmart, Target and Toys'R'Us the only outlets to receive the misprinted discs. According to Warner Bros - which sent round a statement on the matter - each disc contains the full, completely functional game, and the gaffe is merely a disc labelling error. Anyone who purchased a copy before stores sent back the offending discs can contact customer support for a replacement disc. The company is currently in the process of manufacturing fresh units, which will hit stores as soon as possible, it said. Only the Xbox 360 versions of the game are affected. It could be worse. At least Warner didn't mistakenly ship copies of a rival publisher's game, as was the case for Activision this week.